Kerrigan is writing a guide book to his adopted city of Copenhagen. Specifically, a guide to the city's drinking establishments-of which there are more than 1,500.Thus, it is a project potentially without end, and one with a certain amount of numbness built into it, through countless drinks imbibed.And that is part of the point: for Kerrigan, an American expat fleeing a brutal family tragedy, has plenty he wants to numb.The only problem with his project is his research associate, a voluptuous, green eyed gal who makes him tremble with forgotten desire. Kerrigan in Copenhagen is a love story. 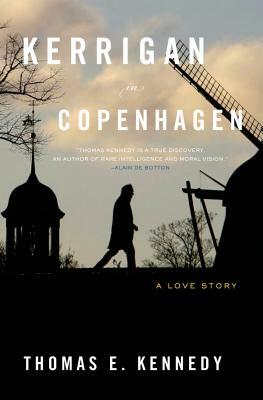 It is also a deeply human, Joycean romp through a magical city-its people, history, literature, and culture-giving Copenhagen its literary due and establishing Kennedy as a tremendously gifted novelist. Thomas E. Kennedy's books include novels, story and essay collections, literary criticism, translations, and anthologies, and his writing has been awarded several prizes, including the National Magazine Award in 2008. He teaches in the MFA program at Farleigh Dickinson University. Born and raised in New York, Kennedy currently lives in Copenhagen with his two children.